Moisture (max) 94.23%, crude protein (min) 0.52%, crude fat (min) 0.27%, crude fiber (min) 1.27%, ash (max) 6.25%. 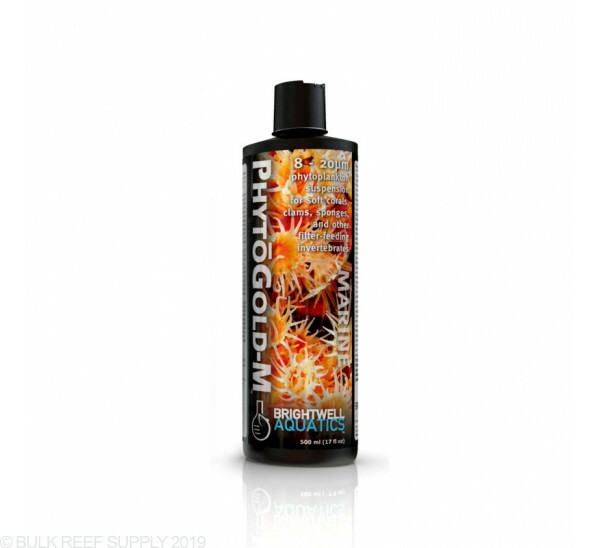 Brightwell Aquatics PhytōGold-M is a concentrated suspension of Thalassiosira sp., a unicellular marine algae ranging in size from 5 - 20µm and having a diverse nutritional profile; it is rich in the omega-3 fatty acids ARA and DHA, as well as in several important amino acids. Thalassiosira falls within the size class of plankton known as nanoplankton (2.0 - 20.0µm), which is sometimes considered microplankton. It is the proper size for feeding many species of soft corals (particularly those with short tentacles), as well as clams and other bivalves, sponges, tunicates (sea squirts), plumed worms (Christmas tree worms, feather dusters, etc. 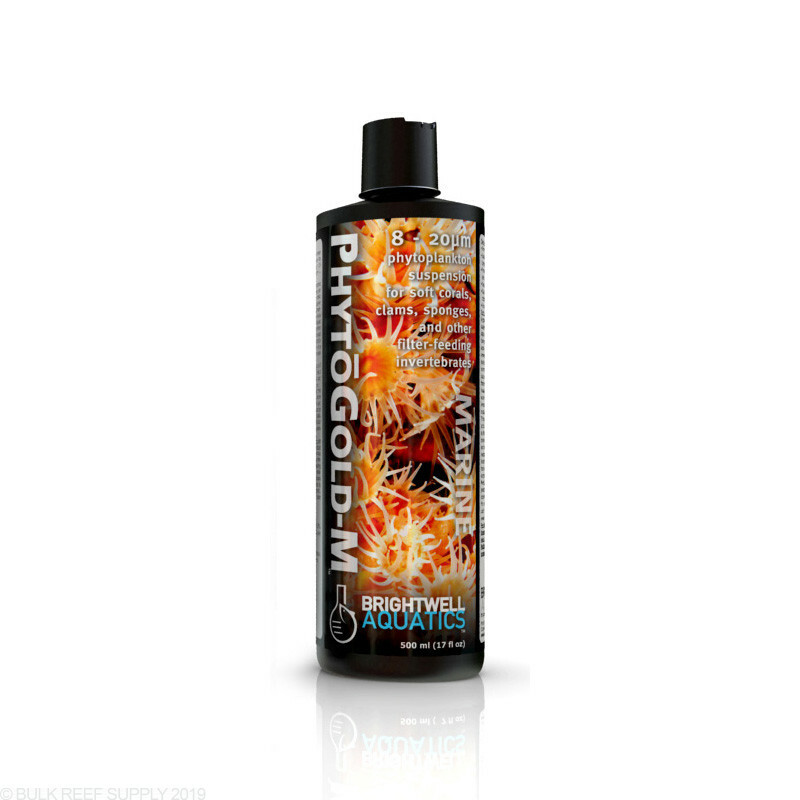 ), bryozoans, larval invertebrates such as those of many crustaceans and bivalves, and juvenile fishes.